I recently was asked to participate in Ambal Balakrishnan's (@ambal) ebook, to be published at year'd end and then available from her blog, Connect the Docs. She asked a bunch of B2B marketing experts for their predictions for 2010. Being one of those tweeps who always barks by mid-January that "if I see one more predictions blog article, I'll puke," I chuckled as I sat down to write. Are marketing's goals aligned with sales? Do your bonuses share quota? Are you shoring up those marketing techniques that are tried and true? Are you adapting to new areas that need adapting, such as Social Media? Are you measuring everyting? Cost per lead? Cost per opportunity? 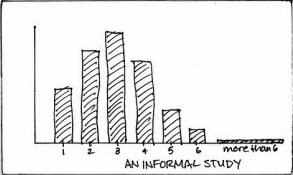 Leads per marketing event (blogs, tweets, whitepapers)? Are you combining inbound marketing and outbound marketing and maximizing unified demand gen techniques? Are you going to take time to reflect on what's working, what's failing and make changes? I'm sure there are some "marketing gurus" out there who still are investing 70% of their marketing spend on Google Adwords and the rest on PR. Too bad ... old-school mix. So reflect on 2009. Hit the ground running in 2010. What are you going to think about or adjust? How many business cards do you have laying around in one of the current states? If you answer is more than 10 cards, then you have leads laying around that are going untapped. 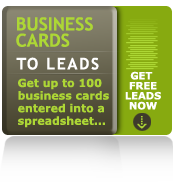 Green Leads has just introduced a new complementary service where the sales reps we support from our appointment setting clients can have up to 100 business cards a month entered into a spreadsheet for free. All they have to do is send them to us. A week later, they get a spreadsheet with all the data -- perfect for importing into Outlook, Salesforce.com or other CRM systems. To celebrate all the networking, business card exchanges and great relationship building that will happen at Dreamforce this week, Green Leads is offering a limited version of the service to non-clients for FREE. Send us up to 100 of your Dreamforce business cards and we'll send them back to you in a spreadsheet. The only catch ... you subscribe to our B2B Blog: Smashmouth Sales & Marketing. 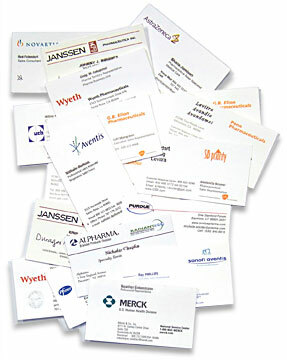 Get instructions now >> 100 business card leads. Despite a minor glitch from the webinar hosting provider during the first minute, the event was successful due to Richardson's impeccable planning process. This sales training company is all about preparation, execution and communication -- which led to a great event. Let me outline that procedure ramping up to a webinar, focusing not on presentation tips but on the production of the webinar itself. Content Creation - Three weeks prior. Involve all participants in the content creation process and solicit comments constantly. First Review - Two weeks prior. Participants walk through the slide deck, talk about what each can contribute and what cues might be used for transition. Dry Runs and Rehersals - Use the actual webinar hosting software so that everyone involved is familiar with operations. Dry Run #1 - Week prior. Casual run-through with some designated critics that are not intimately involved with the content. Feedback as needed during the dry run. Edits. Dry Run #2 - Three days prior. Formal run-through with critics, refined content review and attempt at real-time flow and timing. Feedback after the dry run. Final edits. Prep - 30 minutes prior. Get presenters to log in early. Test everything for going live and use tech support if necessary to fix any glitches. Go Live - At start time, announce that the webinar will begin shortly. This gives stragglers a couple minutes to log on. Then jump right in. Q&A - Make sure to allow enough time for questions, and then after the event answer any open questions in an email to the participants. Followup - Send a prompt followup with calls to action and link to the replay. The number of reviews and dry runs might seem like overkill. In fact, this presenter originally complained it was too much, but Jim & Lori ... I take it back. This level of preparation was perfect. Thanks to Richardson for producing a great event and inspiring this contribution to the Smashmouth Lead Gen Tips collection. As always, thanks to Nigel for being a great sidekick and colleague. The two of us are never at a loss for words. Any other webinar tips you want to share? Add them as a comment. Today's B2B University, sponsored by Silverpop, was a great turnout. My estimate was 150 or so. Great networking and information sharing. Glad to have met everyone I met. If we didn't meet but you wanted to...shoot me a message. cahidalgo: #B2BUniversity: @draab "very few marketers can calculate the ROI, NPV or impact to the change of their marketing budget. cahidalgo: #B2BUniversity: @draab-"3.3x higher ROI for marketers who apply measurement best practices. " While recently updating our training materials for new hires, I was digesting all the valuable info from our friends at The Bridge Group on inside sales benchmarking and inside sales training. One particular article captured my attention because it stated some basic principles that many sales professionals sometimes fail to heed. "...it's different than traditional lead gen. Appointment setting done in a pay-for-performance basis provides you with predictible ROI. What are some of the measures you look for in your demand gen programs?" Showing respect and understanding for prospects' needs and pain points not only allows you to tailor your sales style, but also shows them that you bring value to the conversation and are not just a run-of-the-mill salesperson. 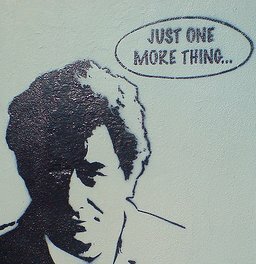 "Just one more thing..." What's the best Columbo question you use?